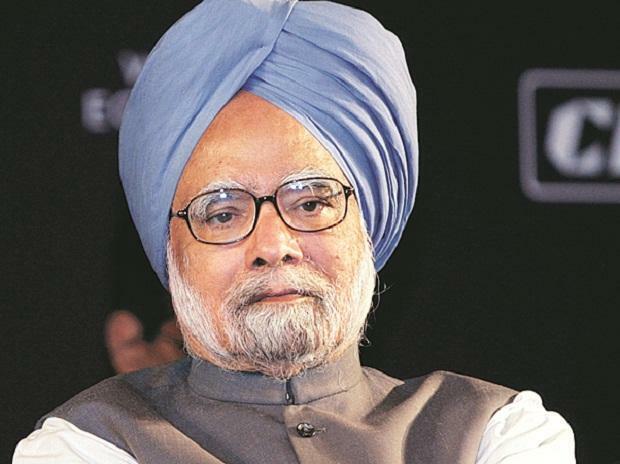 The "jobless growth" has slipped into "job-loss growth", which, together with rural indebtedness and urban chaos, has made the growing number of aspirational youths restless, former prime minister Manmohan Singh said Sunday, as he hit out at the government for failing to uplift the economy to its potential. Singh asserted that the domestic challenges of India's economy were daunting in their complexity and devastating in their impact on the society. In his convocation address at the Delhi School of Management, he said the "grave agrarian crisis, the declining employment opportunities, the pervasive environmental degradation, and above all the divisive forces at work" were some of the challenges facing the nation. "Suicides of farmers and frequent farmer agitations reflect the structural imbalances in our economy which call for serious in-depth analysis and political will to address them," the senior Congress leader asserted. "The jobless growth slipping into job-loss growth, together with rural indebtedness and urban chaos have made the growing aspirational youths restless, he said. The attempts at creating additional job opportunities in the industrial sector have failed as industrial growth is not picking up fast enough, he alleged. In a scathing attack on the government, Singh said the small and unorganised sectors which were vibrant and contributing to generation of wealth and employment opportunities have grievously suffered in the wake of the "disastrous" demonetisation and "slipshod" introduction and implementation of the Goods and Services Tax (GST). "Well thought-out policy and implementation strategies are required to stimulate industrial and commercial sectors. Knee-jerk reactions and off-the-cuff announcements of grandiose schemes and unproductive projects have manifestly failed to uplift the economy to its potential," he alleged. ?Singh said one of the areas of major concern in the endeavours to promote employment-oriented industry is the gap between the skills that the industry needs and the skill-sets that the graduating students possess. ALSO READ: Voters' dilemma: BJP? No. Modi? Yes. "?We are living in a fast-changing world. On the one hand we are getting more and more integrated with the world economy and exposed to the global markets, and on the other hand we face massive economic and social challenges at home," said Singh, who was the prime minister from 2004-2014. Changing equations among global powers and fluctuations in the markets for petroleum products and other industrial commodities and the financial markets affect India's economy more than ever before, he argued. "?Needless to stress, it is a testing time for our democratic spirit, our patience and tolerance, our capacity of managing contradictions, our resolve of ensuring inclusive growth a strong, equitable and sustainable growth," he said. Addressing budding management professionals, Singh told them that they are joining the business world at an important time when India is projected to be one of the top three economies of the world by 2030. This possibility opens up many opportunities and challenges for budding management professionals in this fast moving world of unprecedented changes, he said.